Here are 7 Ways to Celebrate St. Patrick’s Day from our guest blogger Sarah Lockwood. Thanks, Sarah! Like many holidays, St. Patrick’s Day in the U.S. has morphed into “just another big party” for a lot of people—which is unfortunate, because there are so many more exciting ways to celebrate. If you’d rather spend the holiday weekend immersing yourself in a more artful and memorable experience, you’re not alone. Plenty of people are finding creative ways to take part in one of spring’s biggest events. 1. Visit the Irish or British portion of your local museum. Sadly, most city dwellers or those within easy driving distance don’t regularly visit their local museums. Choose your poison, whether it’s a traditional art museum, peculiarium (an oddities museum/gallery), or niche museum specializing in a particular art or practice you adore, and then see if they have any special St. Patrick’s Day exhibits or Irish collections. Some museums even offer discount days and times, so check ahead, and see what part of the weekend is the best time to visit. We suggest the Irish Famine Museum on the campus on Quinnipiac University in Hamden, CT.
2. Face a fear and visit a snake. It’s a myth that St. Patrick drove the snakes out of Ireland, but as a patron Catholic saint, it’s not a surprising fable. Snakes have long symbolized evil in the faith, and the ability to supposedly remove them from an entire country makes for a nice story. However, historians claim that there weren’t many snakes in Ireland at all during that time. Still, if you like the snake tie-in to the holiday, why not visit one yourself? Check out your local zoo or science center and face your fears (or simply visit what you consider a cute and slithering friend). 4. Join a holiday fun run or walk. All over the country there are St. Paddy-themed fun runs and walks, often with shamrock- or luck-infused themes tied into them. St. Patrick’s Day is a Friday this year, meaning there are even more options to squeeze in a workout and start the weekend off right. Costumes are often encouraged. 5. Learn some Irish slang. For many Americans, Irish accents are one of the toughest to understand, and it doesn’t help that the language is full of slang terms we’re unfamiliar with. Spend some time educating yourself on the more confusing phrases, like “craic” (a good time), “olagonin’” (complaining), or “noodle” (a person’s head). 6. Learn a traditional Irish dance. At many parades and family-friendly events, there are complimentary lessons for traditional Irish dancing. Alternatively, you can look around at dance studios and see if anyone is hosting a special themed event. Still no luck? Hunt down a four-leaf clover and check out a YouTube instructional video! There are both performance and traditional dances to test out. 7. Go to an Irish poetry reading. Ireland has produced a number of renowned poets and authors, and on St. Patrick’s Day many bookstores will host readings of Patrick Kavanagh, John Montague, W.B. Yeats and more. You can even try your hand at whipping up a limerick. Celebrate St. Patrick’s Day with your unique style, and look at all the options available in your town. You’ll be surprised by how many family-friendly opportunities there are, as well as delectable traditional Irish dinners all around town. The benefits of studying art in school or participating in art projects at home go far beyond creating a beautiful picture or sculpture. Art teaches children important skills that will help them throughout their lives. Art teaches children to solve problems creatively. It encourages children to approach problems or tasks in different ways and to consider ways of doing things that others may not have chosen. Children learn to work with unfamiliar methods and materials and learn that there is not necessarily one “right” way to approach a problem. The ability to “think outside the box” will help children in school and later when they begin working. Art teaches children to be confident in their abilities. Children can experiment without fear, learn from their mistakes, and believe that they are capable of achieving something meaningful. Art teaches children to persevere. 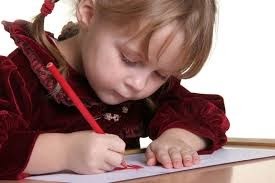 A child will not be able to draw a life-like picture of a person or build a castle on the first attempt, but with practice, any child can develop artistic skills. Children learn that if they are focused and determined, they can succeed. Art teaches children non-verbal communication skills. Children who may not be able to find the right spoken or written words can communicate their thoughts and feelings through art they create. Art teaches children to accept and learn from constructive feedback. Children learn that feedback is intended to help them grow and improve and should not be taken personally. The benefits of art extend well beyond the immediate, tangible effects. Encouraging your child to develop his or her artistic talents can teach important skills that will last a lifetime.